Cuban historian Manuel Moreno Fraginals died at his Miami, Florida, residence on May 9, 2001. Since the early 1960s, Moreno Fraginals had been Cuba’s best known historian and a leading scholar of plantation slavery in the Caribbean. By the time of his death, which was noted by the press in Miami, Madrid, and Havana, he had authored or edited more than 10 books. Born in Havana, Cuba, in 1920, Moreno attended the University of Havana, where he completed a degree in law, and continued his education at the Colegio de Mexico, earning an MA in history under Silvio Zavala, the internationally known Mexican scholar. After spending two years doing archival research in Spain between 1947 and 1949, Moreno returned to Cuba and taught at the Universidad de Oriente in Santiago de Cuba. He then moved to Havana, where he worked at the National Library for the next two years. Shortly after the military coup of Fulgencio Batista (1952), however, he left the island for political reasons, heading to Venezuela, where he did market research and worked in business management. He remembered those years fondly, claiming that through his links to the “ultra-conservative bourgeoisie” of Caracas, he had come to understand the way investors think. He also developed analytical tools that later proved useful in his historical research. Back to a Cuba in the midst of revolution in 1959, Moreno taught at the Universidad Central in Santa Clara, then returned to Havana to work at the Chamber of Commerce. In 1964 he published the first volume of what would be his best-known work of scholarship, El Ingenio, which was later translated into English (The Sugarmill: the Socioeconomic Complex of Sugar in Cuba, 1976), Portuguese, and other languages. A second, three-volume edition was issued in Havana in 1978. El Ingenio was an astonishing intellectual piece, published where most of the historiography was devoted to the creation of a national narrative of struggle and heroism that led, teleologically, to the revolution of 1959. Instead of the selfless and noble patriarchs with whom traditional historiography identified as the founding fathers of the nation, the heroes of The Sugarmill were cold-blooded investors whose main obsession was increasing the efficiency of their slave-based sugar plantations. Moreno emphasized that Cuban civilization was not built on the generosity and enlightenment of its white patriarchs, but on sugar-producing slaves. Modern, underdeveloped Cuba was the product of greed and violence, not heroism and generosity. Despite its rigorous methodology and empirical breadth—or perhaps because of them—El Ingenio was not sympathetically received by Cuban official historians, who claimed at the time that Marxist historians should apply themselves to reinterpret the past, not to reconstruct it using new evidence and methodology. Indeed, the book was a pioneer in the application of econometrics to the study of slavery and in its careful analysis of technological innovations. Due to the resentment of the historiographic establishment, Moreno was never allowed to teach at the University of Havana or to create a school in the traditional sense of the term. When he began teaching again in the mid-1970s, it was at Havana’s Institute of Art. Meanwhile, it was outside Cuba that Moreno did much of his teaching and other academic activities. Between 1968 and 1977, he taught courses at universities in Great Britain, Sweden, Spain, Mexico, Venezuela, Dominican Republic, Puerto Rico, and Nigeria. In 1977 he published Africa en América Latina, a UNESCO-sponsored project that was later translated into English and French. Six years later Editorial Crítica of Barcelona published La historia como arma, one of his most influential texts. Increasingly, his intellectual life prospered, and he was recognized abroad. After 1977, when he visited Columbia University with a Tinker Scholarship, he became a frequent speaker at U.S. universities. The American Historical Association granted him the Clarence Haring Prize for The Sugarmill in 1982, the same year he received a fellowship at the Woodrow Wilson International Center for Scholars. Among the outcomes of these research and teaching visits were various collaborative efforts with U.S. scholars, such as a 1983 article on slave prices in Cuban plantations with Herbert Klein and Stanley Engerman (AHR 1983) and his Between Slavery and Free Labor: The Spanish-Speaking Caribbean in the Nineteenth Century (Baltimore, 1985), co-edited with Dominican historian Frank Moya Pons and with Stanley Engerman. Moreno’s association with U.S. academia had other less visible outcomes, but equally important. At a time when exchanges between scholars in Cuba and the United States were minimal, Moreno became a sort of cultural broker between both countries. He sponsored and supported the work of Americans on the island, facilitating their access to Cuban libraries and archives and sharing with them his vast knowledge of Cuban history and sources. In turn, the reduced group of Cuban disciples that surrounded him in the 1980s found in Moreno a rare window into American historiography and scholarly debates. Through our weekly visits to his studio we were introduced to the new economic history that had flourished in the United States, to the work of the cliometricians, and to scholarship on Cuba which was frequently impossible to obtain in Cuban libraries. This way, Moreno shared with us not only his deep passion for history, but also his privileged access to U.S. scholarship. He may have not been a university professor in the traditional sense of the term, but he was always eager to teach and happy to give. Many of us learned more history in that studio than in any university classroom. His passion for intellectual debates and his contempt for dogmas, however, were bound to clash with an environment in which freedom of expression was increasingly limited. By the early 1990s, Moreno had grown increasingly frustrated with the Cuban bureaucracy and again decided to leave the island he loved so deeply. 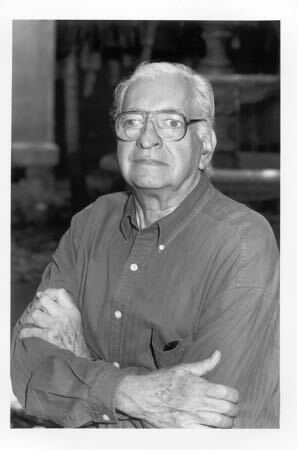 In 1994, at age 74, he established himself in Miami and published his last book, Cuba/España, España/Cuba: historia común (Barcelona, 1995), a lucid synthesis of Cuban colonial history that Catalan historian Josep Fontana dubbed “a masterpiece.” During the last few years of his life, Moreno received a John Simon Guggenheim Fellowship and had visiting teaching appointments at Florida International University and Yale University. By the time of his death, he was editing a Cuban Encyclopedia and was involved, as usual, in numerous other projects and dreams. Due to his contributions to the profession, he became an Honorary Member of the American Historical Association in 1988. Those who knew him will always remember his friendship, his sense of humor, his grandiloquence, his boundless love for life and for everything human. In addition to all this, his disciples will also remember the passionate teacher, the history professor who quietly, almost surreptitiously, introduced us to a fascinating world of ideas and debates in his Havana studio.